Silverband Falls in the Grampians National Park is once again open. The whole Grampians National Park, Halls Gap and the surrounding region were dramatically effected by the floods in January 2011. 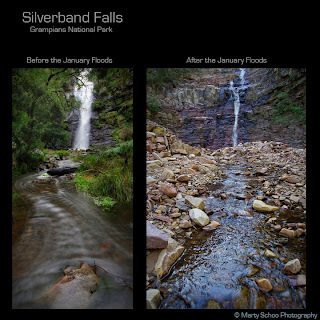 Check out my photos of the before and after of Silverband Falls. Better still come and check it out for yourself this Easter.